Use: Apply every night on a thoroughly cleansed face and neck. Massage into the skin with circular motions for a better absorption. To Complete Your Regime Cleanse your skin with Age Perfect Milk and Toner. 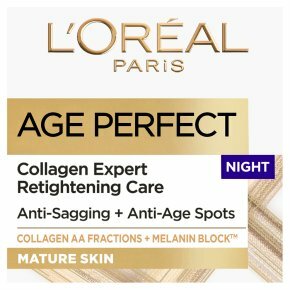 Apply Age Perfect Re-Hydrating Day and Night Creams daily. For the eye area, use Age Perfect Re-Hydrating Eye Cream.